The launch of Allu Sirish's 'Kotha Janta' in the direction of Maruthi has been done in Hyderabad. Regina Cassandra is the lead actress in this film. 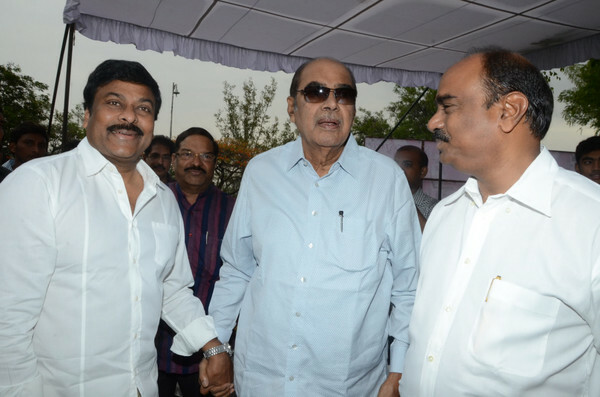 Chiranjeevi, Dr.D.Ramanaidu, K.S.Ramarao, Allu Aravind, Allu Arjun, Nagababu, Saidharam Tej, Vamsi Paidipally, Dil Raju, Bandla Ganesh, BVSN Prasad etc have attended the launch.Chiranjeevi has given the clap and Dr.D.Ramanaidu has switched on the camera for the first shot.